Dolvin's Technology Consulting and Finance Software Blog: What Aspects of an ERP Solution should you look at First? 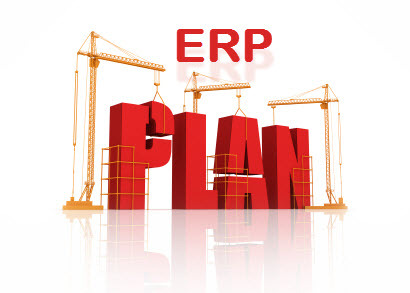 What Aspects of an ERP Solution should you look at First? Enterprise Resource Planning (ERP) system solutions are designed to streamline computer operations so that you become more efficient, reduce costs, and become more profitable. That is the ultimate goal. How close you come to realizing that goal will depend on a number of factors. Many times this is where a Trusted Advisor adds value and earns their keep. Many companies will start looking for solutions on the Internet and that is okay. What did we ever do before Google (or insert your favorite browser name here)? An advisor helps by streamlining this process. They should ask lots of questions, begin looking at how you are operating now, find out what could be different, why are you looking, what is your competition doing, etc. Are your goals realistic? Will this or any solution actually help you achieve your goals? You can certainly narrow down the field of possibilities by doing your own research, but you should keep your mind open. Your advisor may know valid reasons why the solution you were sure is not a good fit actually solves your challenges. Regardless of the path you take to narrow your list of potential candidates, there are questions that must be answered. If you have outgrown your existing system, how soon will the system pay for itself or what is the Return on Investment (ROI)? Do you have the metrics to make a comparison? Do you have benchmarks from your existing system? Have you considered the initial and recurring costs that factor into the Total Cost of Ownership? What actually makes that up? Is this going to be your last system? That may be unrealistic, but perhaps you should act as if it will be. Does the system have the ability to grow and scale with your growth? You are planning on growth, right? Is this your dream or have you shared your company’s future vision with others in your organization? Getting acceptance and buy-in is critical. Those in your organization do not have to like change, but they need to accept it. How will you gain support for the extra time your people will have to invest during the transition? When there is a good fit between your challenges and the solution, there is often the remark six months later that “we wish we had done this conversion years ago”. You goals should include this statement. It means that the turmoil your organization has transitioned through was worth the effort. Your systems should be fully integrated. Management should have the information they need to direct operations in a timely manner and to be responsive to the constant flux in your business. Floor workers should say something to the effect of “at first we did not see how these steps would help, but now it is so much easier and with the accuracy we have achieved there is actually less work and worry”. So you have a solution in mind. You have buy-in from all of your departments. You are effectively managing everyone’s expectations. Your people “see” your vision of a more streamlined company where the left hand knows what the right hand is doing. A world where your customers are happy or at least happier or at least know that you care about them. Really, a happy customer refers new business, because they like being on a winning team that includes you. An unhappy customer tells everyone, and I mean everyone, how unhappy they are with your customer service and responsiveness, the wrong shipment items, the late orders, how strained it is talking with your unhappy staff. This alone is reason for change if your customer relationships are strained. Not sure? Ask them. An absolute great way to find out how good a job you are doing. What to ask? How about asking them how they are doing and you are concerned, enough so that you are considering a new system to better serve them and instead of guessing what they might like, you are taking the time to ask them. What could make doing business with us any easier for you? Then shut up and listen. Your advisor should be doing the same with you. Ask questions, probe like a doctor to find the pain and then find out what you like to do about your challenges. Say you go to your doctor, because you have some pain and he looks at you and says I know exactly what is wrong, take these pills and call me if the problem does not go away. Or, would you like the doctor to ask some questions, find out the circumstances and effect of the pain, maybe run some tests and then work on a solution with you that you can actually achieve? You should know that you may be with this ERP solution for a while, but plan on reevaluating at the three and five year mileposts. Is the system meeting your fiscal goals? Have you (when have you) achieved a complete ROI on your investment. Are your ownership costs in line with where you expected them to be? If not, why? Are you more productive now? By how much? Are you shipping more orders, more accurately? Hopefully this was part of your analysis before you signed the contract. You may have to do some homework analysis of your current operations before you begin. You may have known what happens at some point in time, but how is it working now? If you do not know how your business functions now, how will you know what to fix and by what measurement will you know if you are successful? One of the goals should be to minimize the gap between what you company needs and what any ERP solution will provide. Will you change operations to match the software or update the software to match your operations? Modifications are truly a twin edge sword. Plan carefully here. You do not want to destroy your business, but you also want to take advantage of the new solution. You should give it a serious look. This is where you will find so many cost overruns and failed solutions where no one is happy. Remember that change is inevitable, growth is optional. Contact Dolvin Consulting today to see how we are different. We cannot promise you anything, but we feel strongly that we can help. We do not know who you are so you have to take the first step. We are not here to sell you anything. We are here to help you find the best solution to your challenges. ERP software consists of application modules and includes a set of diagnostic tools.. It is just one software system, but is distributed and all-inclusive.